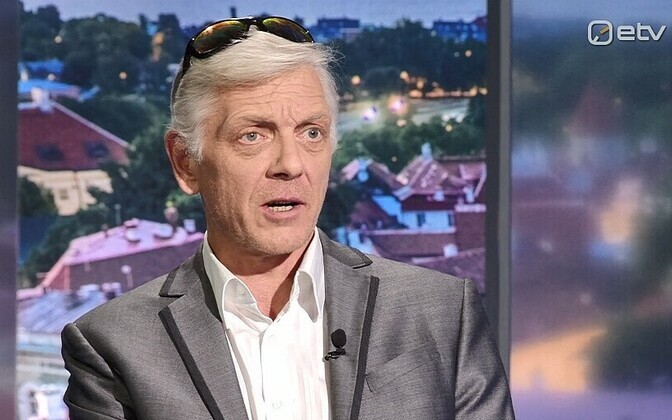 MEP Indrek Tarand, running for the Social Democratic Party (SDE) in the March general election, has asked for an apology and a retraction of statements made about him by members of the opposition Conservative People's Party of Estonia (EKRE). 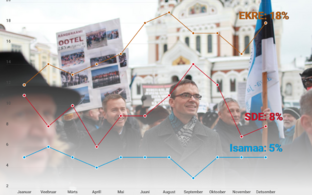 The claims EKRE have made and which Mr Tarand is asking for them to withdraw concern an incident in late November, where Mr Tarand approached demonstrators from EKRE and its supporters opposed to the UN's Global Compact on Migration. Differences on the compact had led to a temporary split in the coalition government, with Isamaa/Pro Patria against, and SDE for, its adoption. Both parties are junior partners in the coalition with the Centre Party. Mr Tarand was filmed speaking through a microphone which EKRE members had been using and attempting to address the assembled protestors. 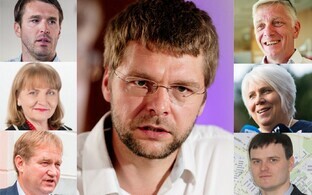 Other leading SDE members including party leader Jevgeni Ossinovski and foreign minister Sven Mikser were also present. The microphone was wrestled from Mr Tarand by EKRE supporters and he was subsequently physically bundled away, receiving at least one kick in the process, before security personnel escorted him from the scene. "Having sadly observed that the provision of false information and slander by prominent EKRE politicians against me, which started on 26 November 2018, is ongoing and systematic, I must take action in order to protect my rights and establish the truth," Mr Tarand said in an announcement to the media on Monday. "I have decided to grant EKRE members ‒ Martin Helme, Urmas Espenberg, Jaak Madisson and Henn Põlluaas ‒ an opportunity to settle the matter in a civilised and correct manner. An opportunity to apologize for the dissemination of incorrect facts and unhealthy slander. It is to be done in accordance to all rules and from the same rostrums and media publications in which they published their lies. If said apologies are submitted by the deadline set by me, I will accept them and deem the matter terminated," he continued, asking that the matter be resolved by the weekend of 25-27 January, according to BNS. EKRE had subsequently alleged that Mr Tarand was under the influence of alcohol or drugs when the 26 November incident unfolded, something which Mr Tarand, who was not investigated by the police following the episode, strenuously denies. "My activity does not merely focus on matters relating to me, but stems instead from a need to decrease and ideally eliminate promotion of violence and dissemination of slander in the public space. Freedom of speech entails responsibility and that is where the moral of the story lies," Mr Tarand continued. Mr Tarand also told ERR News on Monday that he had wanted to provide an alternative viewpoint to the protesters, whom he felt had been misled on the issue of the compact, and had not foreseen that events would pan out as they did. Mr Tarand says that his legal representative, Maria Mägi-Rohtmets, has sent written proposals with exact requests and their deadlines. 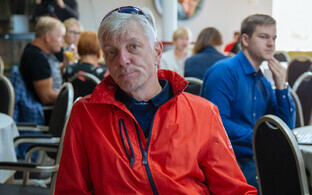 "I very much hope that members of EKRE will use the opportunity I provided and they and I can concentrate together on resolving Estonia's societal and political problems in a democratic manner, " Mr Tarand added. For its part, EKRE says the situation is the reverse, and it is Mr Tarand who should be apologising to its members. "Tarand's claim will be dealt with by our lawyer. If Tarand wishes to support lawyers from his European Parliament allowance, then by all means, let him go ahead and do it," deputy chairman of EKRE Martin Helme said, according to spokespersons. "We are still waiting for Tarand to apologize to us for the violent provocation carried out at the picket on 26 November," he continued, calling it "a fading politician's desperate cry for attention." Mr Helme also reiterated the claim that persons present at the protest could ''smell alcohol'' and that there had been no confirmation of a breathalyser or other alcohol testing mechanism having been used or its results being recorded. 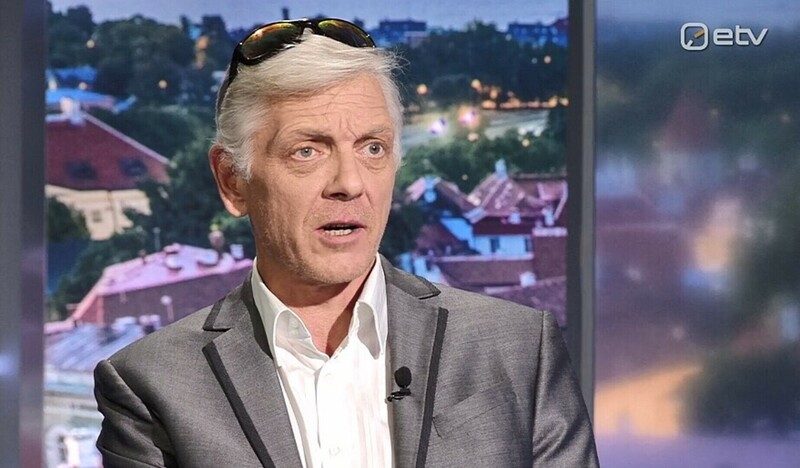 Indrek Tarand is stepping down from his position as an independent MEP at Brussels a few weeks ahead of the European parliamentary elections in late May, to run in the 3 March general election in the Pärnumaa district.